No-one should ever be subjected to the abuse that Luciana Berger has clearly suffered. It is horrific and totally unacceptable. Yet many have long suspected that her accusations of antisemitic abuse – allegedly from the left – are not quite what they seem. Here Bob Pitt investigates and finds that she has consistently blurred the distinction between the abuse she has received from the left with that from the far right. Furthermore, the timing of her accusations seems to have been deliberately chosen to do maximum damage to Jeremy Corbyn’s leadership. In August 2016 the Observer published a profile of her, under the title “Luciana Berger: ‘I have been contending with issues surrounding my safety and security for years’”. This was nearly a year after Corbyn became party leader and in the middle of another leadership contest in which Berger supported Owen Smith against him. 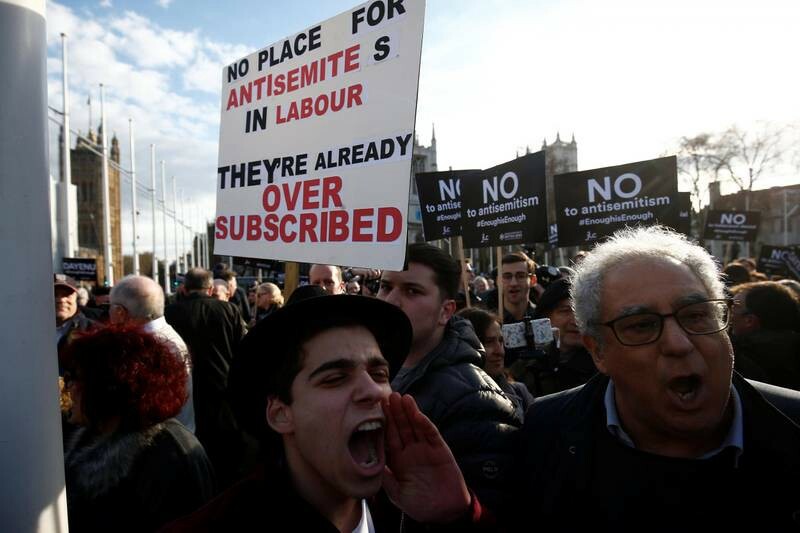 If Corbyn’s election in 2015 had indeed unleashed a wave of threatening and abusive antisemitism among the party membership against which Corbyn was reluctant to take action, as Berger now asserts, this would obviously have been an opportune moment to raise the issue. There were a few tweets about rightwing antisemitism. In December 2016 Berger welcomed the conviction of her far-right abuser Joshua Bonehill-Paine on a charge of racially aggravated harassment. In July 2017 she condemned the Sunday Times for publishing an article by Kevin Myers which suggested that Claudia Winkleman and Vanessa Feltz are more highly paid because they are Jewish. In December that year she pulled up former UKIP MEP Godfrey Bloom over his use of an antisemitic trope about Jewish bankers. The only allegation against the left I could locate was from April 2017, when Berger tweeted a false accusation of antisemitism against Ken Livingstone, in response to the Labour Party National Constitutional Committee’s decision to suspend rather than expel him. But the charges against Ken were based on comments he made in April 2016. I couldn’t find a single reference by Berger to any alleged incident of leftwing antisemitism that took place in the period under consideration here. Has Margaret Hodge lost it? What is Margaret Hodge playing at? An excellent, detailed forensic examination of the promulgated myths. I have to take issue with the way this is phrased. The problem is not that the Labour Party is exhibiting such behaviour as this implies – the problem lies with a few people who if we had machinery to meet and vet many thousands of members would surely not be allowed to join. They are not ‘in’ the party by definition of character. And most of us have never encountered one in any case.